Well, it is officially time for 2017 NFL Free Agency. Big money signings, star players changing teams, and the entire landscape of the NFL could potentially change. But of course, the Dallas Cowboys will not be involved in any of it. After already losing starting safety and team captain Barry Church to the Jacksonville Jaguars Wednesday, the Cowboys are now likely to lose starting defensive tackle Terrell McClain, starting left guard Ronald Leary, their number two wide receiver in Terrance Williams, and at least one (possibly two) of their starting cornerbacks in Brandon Carr and Morris Claiborne. Just on that short list are some important names, players which contributed greatly to the Cowboys' 13-win season in 2016. But other teams know this too, and the market is going to dictate that these good players get paid like great players. And in the words of the man in charge himself, Stephen Jones, the Cowboys are not prepared to do that. Dallas' philosophy is simple, build through the draft, re-sign your own guys which you have drafted, and make smart, fiscally responsible signings after the craziness of the first week of Free Agency passes. It may be boring as a fan to sit around this next week and not see Dallas making any big signings. It might be hurtful to see players like Terrell McClain and Barry Church leave in free agency after giving so much to the Cowboys organization. But in the end, it is worth it. The Cowboys are now in a situation where they can remain patient and responsible while continuing to build a championship contender. Having their starting quarterback on a fourth round rookie deal, Dallas has the best bargain in the league at it's most important position. By playing the salary cap responsibly, they can now retain key offensive linemen like Zack Martin and Tyron Smith, and potentially extend La'el Collins and DeMarcus Lawrence if/when they have big 2017 seasons. So relax, Cowboys Nation. I know some will get anxious as more players are leaving than coming over the next week or so, but they are going to be okay. In a month they get to draft and add some serious talent at positions of need and do so the right way. In a couple of weeks, they will most likely sign a cheaper cornerback or defensive lineman who can make a decent impact in year one. And in September, they will have a full 53 man roster led by Dak Prescott, Ezekiel Elliott, and the best offensive line in all of football. 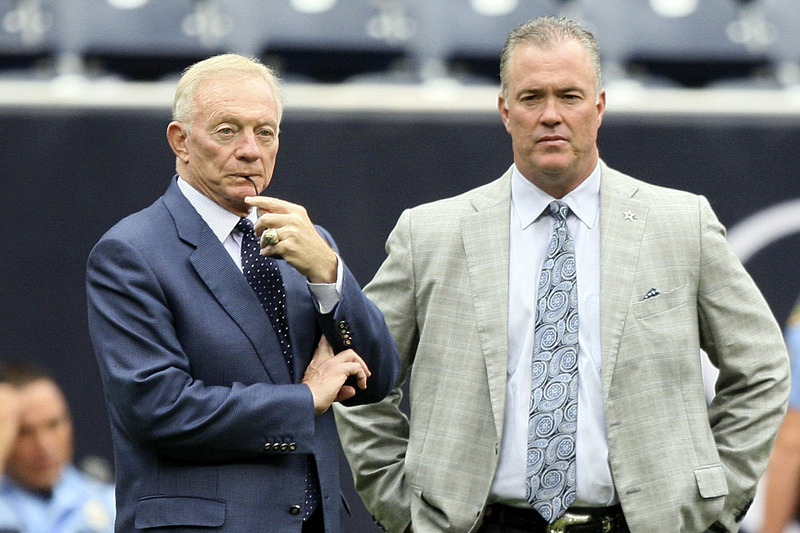 The Dallas Cowboys are going to be fine, so don't be too disappointed during Free Agency.